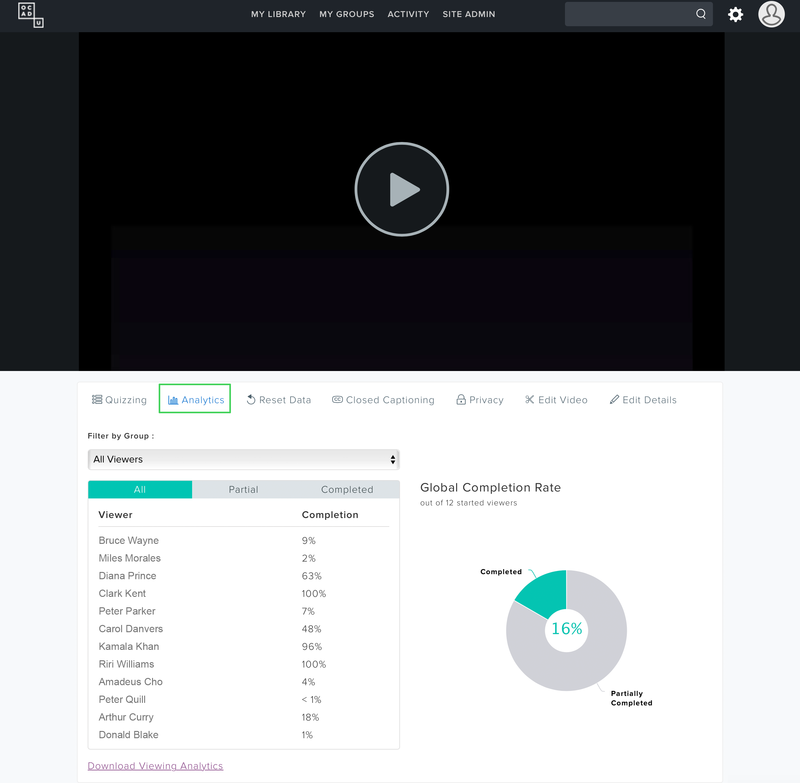 Detailed analytics exist for every video on TechSmith Relay. Access this data by clicking the Analytics button found below the video. From there you can filter the list to see all viewers, viewers who watched part of the video and viewers who watched all of the video. Underneath the statistics, there is a download link to a CSV version of that data. That CSV can be opened in your preferred spreadsheet application (Excel, Numbers, etc).